The central government is responsible for taking care of micro, small and medium-sized enterprises and the functioning of the same. Further, the central government also offers financial assistance to these sectors of business enterprises. 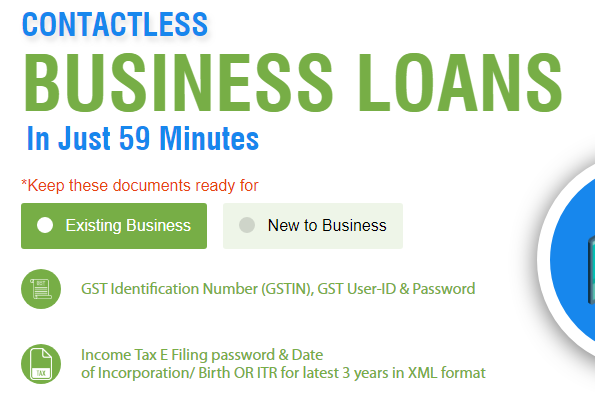 Recently, a new portal has been launched by the central government that would help an interested business person to apply for loans in 59 Minutes Loan. The eligibility, interest rate and other details have been illustrated in the following part of the article such that the loan seekers are able to grasp a better idea about the details of the portal and the schemes of the loan. What are the key features, subsidy plan and interest rate of 59 Minutes loan? Ventures allowed applying – The loan scheme has been launched aiming for the new and existing business organizations such that they would be able to meet any kind of financial crisis and it has been planned by the central government. Assistance and encouragement – The main objective of the loan scheme is to provide financial help to the enterprises and encourage them in the best way possible. Amount permissible – The finance minister declared that candidates applying for this loan would be able to opt for any amount of money less than rupees 1 crore. Direct bank transfer – Whichever be the amount for the candidate, it would be directly transferred to the linked bank account. After completion of the enrolment procedure, the money would be transferred within a week in the bank account. Eligible banks – Five public sector banks have been picked up including small-scale development banks or SIDBs. Rate of interest and subsidy – The rate of interest would depend from business to the other along with credit rating of the candidate. But no information has yet been provided about subsidy. What are the eligibility criteria while applying for 59 Minutes loan? No such eligibility criteria have been mentioned by central government except for the fact that the company has to be either small, medium or small scale and they would be only applicable to avail the benefits of the loan. Bank details – it is necessary to upload PDF version of the bank statement containing the transaction of the last six months. KYC – It is also necessary to upload a digitalised version of KYC form while applying for the loan. GST verification – The GST ID codes should also be kept ready such that the candidate can provide the required information whenever necessary. Income tax verification –While applying for the loan, it is important to provide income tax codes and e-filling information that would be required to link the application with the tax information of the candidate. What is the procedure to get the application form and completion the application procedure? Unlike the previous time, the application process would not be long any further, and it would take less time. With the launch of the new portal, the candidate would be able to complete the application in just 59 minutes. The interested applicants will have to log in to the official portal and link on the link that would direct them to the application form. After completion of the sign-up procedure, primary registration would be completed and following this, the applicants would be able to opt for the final registration. The applicant will have to type their name, personal email ID along with their active mobile number. Then they would have to opt for the OTP generation procedure that would be sent in the registered mobile number. After entering the OTP number, the person would have to click on the proceed button that would direct them to the next step of the application completion. The candidates can change the password later on for security purpose. Following this, the candidates have to click on the link in case they require fund for their new or existing business. After this, the actual enrolment form would pop up, and the applicant needs to fill up the same. After this, you will have to select the bank through which you want the loan. After this, the candidates would get the approval of the form. The applicant should link the GST and the IT accounts along with the enrolment request, and it would help the website to notify the candidate a part of the loan scheme. In addition to this, the details of the bank statements are also required for the transfer of funds. For the new applicants, they have to complete the application procedure. For the existing members, they only need to enter their mobile number or the registered email ID that would help them to access the details of the form. This index is a kind of a scale that would be used to measure the number of financial facilities that have been used. It would measure the percentage of the facility that has been used by the applicants. With the help of this system, it would be possible to have control over the usage, access, and quality of most of the financial services and products. How does Jan Dhan Darshak application work? A new application has also been launched by the central government which is known as Jan Dhan Darshak application. The main aim of this application is to make the facilities of banking easy for the users. Owing to this, the application would be linked to 5 lakh banks such that the people can avail the facilities easily. The facilities offered by the banks would include ATM booths, service centres, and correspondent services. It would be easy for the people living in the rural area to easily avail the benefits. By the help of the thick network of the touch points, it would be easier for the rural people and one touch point would be set with an accessibility of 5 kilometers from a household. I want this funds for Business Expansion.